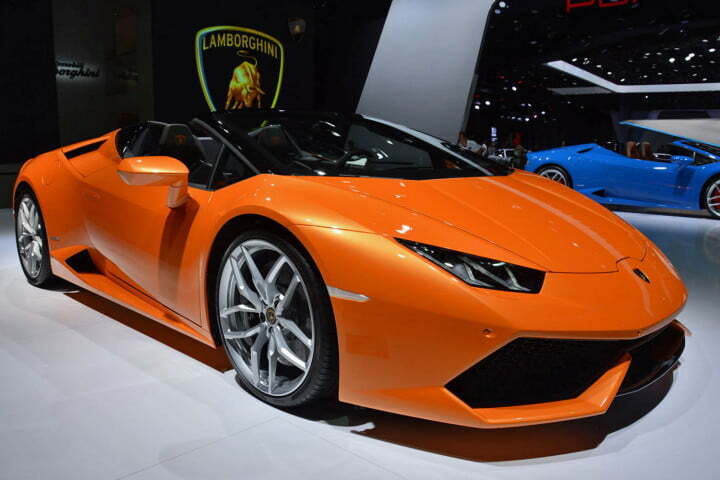 Lamborghini has been growing at an unprecedented rate over the past couple of decades. 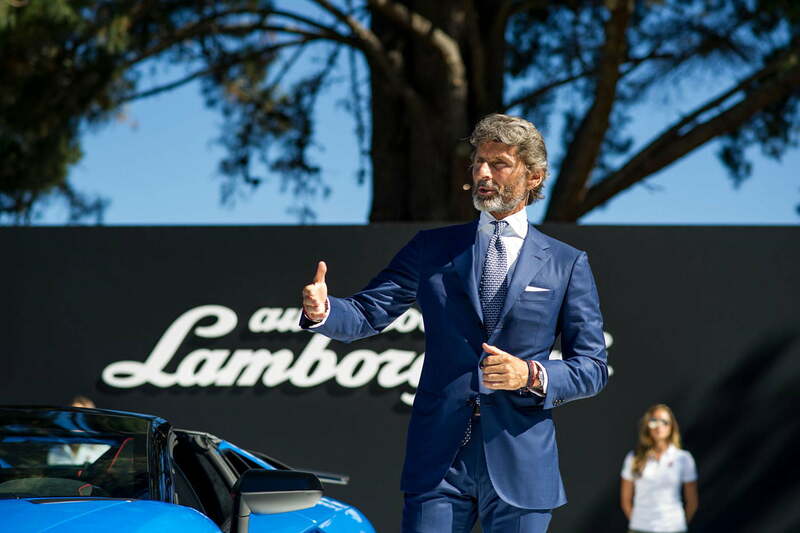 The Italian firm has increased its brand awareness almost exponentially by building smaller, more accessible V10-powered cars like the Gallardo and the Huracán, by introducing extremely exclusive limited-edition models such as the Veneno and the Veneno Roadster, and by spending a lot more time on the race track. The Raging Bull’s newest model, the Huracán Spyder, was launched at this year’s edition of the Frankfurt Motor Show. 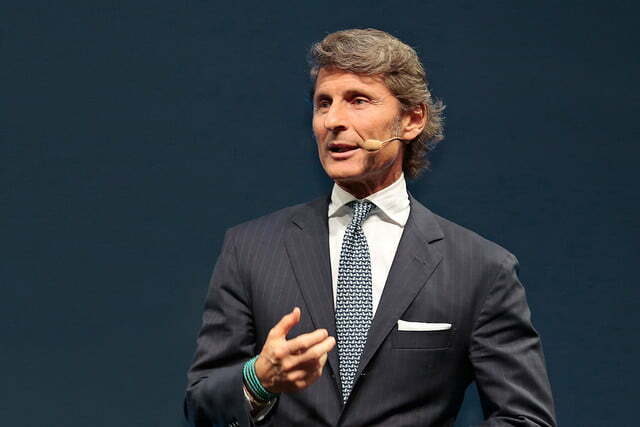 Digital Trends sat down with company CEO Stephan Winkelmann to chat about what the future holds for the Spyder and for the brand in general. Digital Trends: V10-powered models have been your best-sellers for the past few years now, and your convertibles have been increasingly popular. 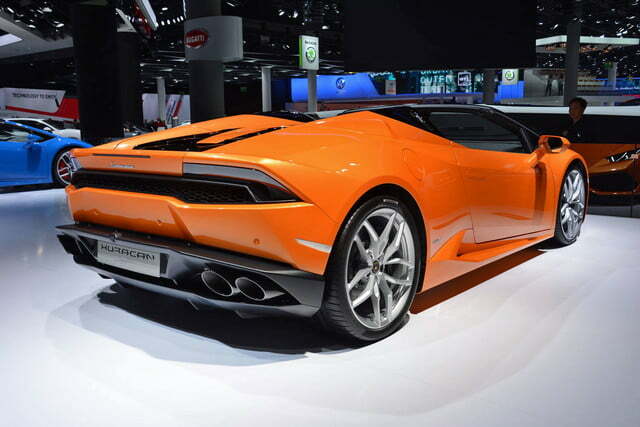 Are there any markets in which you expect the Huracán Spyder will actually outsell the coupe model? 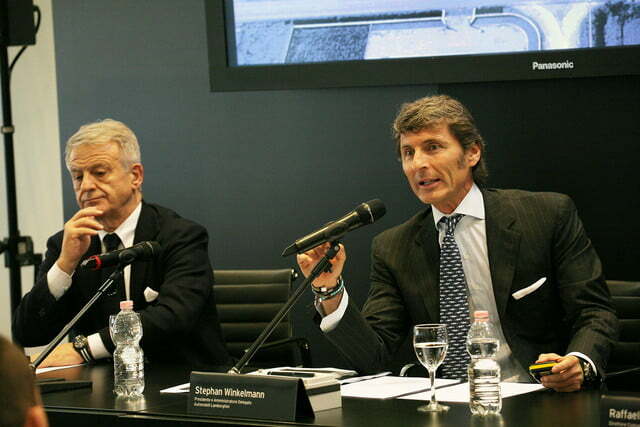 Stephan Winkelmann: Maybe in the United States during its first year on the market. 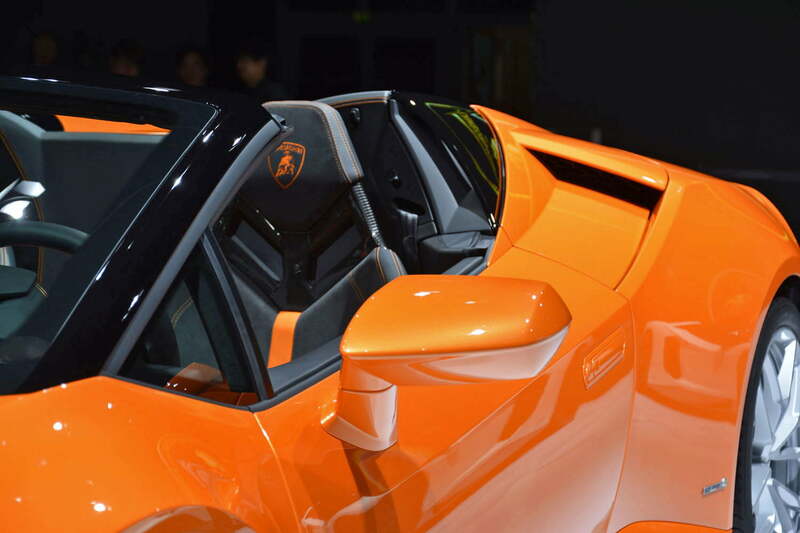 In Asia, it won’t because it’s more of a coupe market, and in Europe it could be about 50/50. But, globally speaking and during a normal year, we sell about 60-percent – maybe 65-percent – coupes and 40- or 45-percent convertibles. Going from west to east, our main markets are North America, including the United States, which is by far our biggest market, and Canada, which is doing quite well, the United Kingdom, Germany, the Middle East, greater China and Japan. Our strong regions are pretty well balanced so we can offset crises around the globe. You have to ensure that you’re not unbalanced in the distribution of cars. The Aventador Roadster boasts a two-piece removable hardtop but the Huracán Spyder gets a folding cloth soft top. If you had fitted the Huracán Spyder with a hard top, do you think it would have overlapped with the coupe? 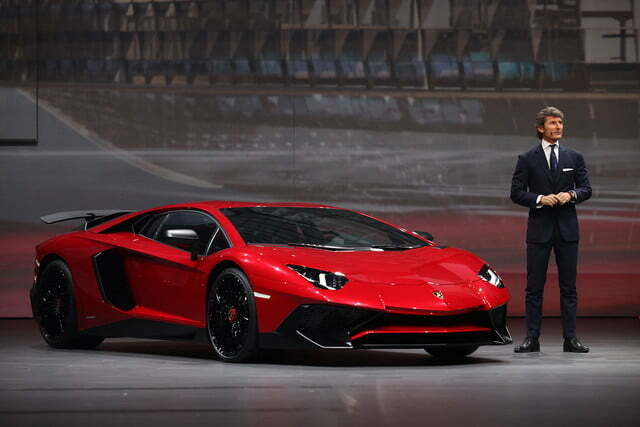 Both versions of the Aventador Superveloce are sold out, actually. Customers knew the Roadster was coming and they were already waiting. Yes, if we had fitted the Spyder with a hard top it would have been very similar to the coupe, and we really wanted to have two different cars. 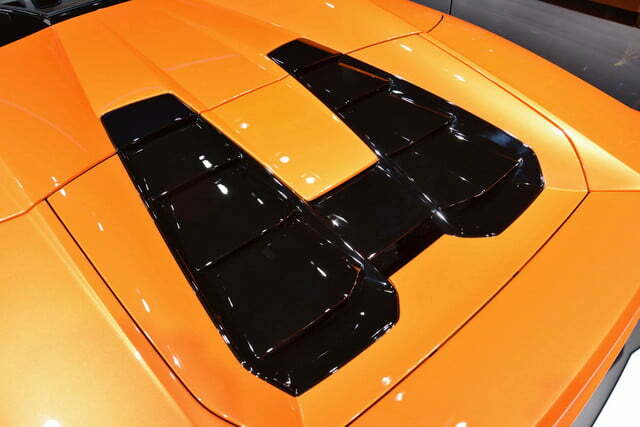 The soft top also gives it a much more lifestyle-oriented feeling, and it has less of an impact on the overall design because the top itself is smaller. Going with a light, power-operated soft top also allowed us to have very nice fins on the back end of the car, and that’s very difficult to achieve if you have a hard top. At least, that’s what our engineers and designers told us after looking at factors like the packaging and the location of the engine. 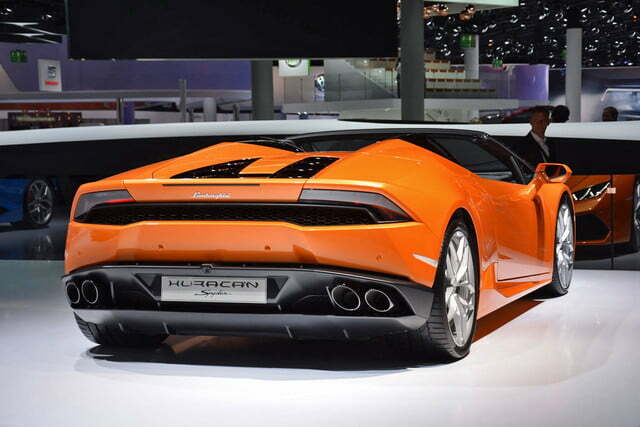 Finally, for us the Huracán was better looking with a soft top. The Urus SUV is coming out in about 2018. It seems like some of its biggest competition will come from within your own group, namely the Bentley Bentayga. Are you worried that the Urus will steal sales from the Bentayga, and vice versa? We don’t think so. It’s like comparing today’s Bentleys and our cars. We’re often in the same segment, but we have a very different approach in terms of design and driving behavior, and that’s the key to success. We also think the segment is growing and we predict that it will be big enough to absorb what we are planning on doing. Besides, we don’t want the Urus to be a big seller, we’re only planning on building about 3,000 examples annually so it will remain very exclusive. That said, it’s a huge game-changer for us. We’re doubling the size of the company and investing hundreds of millions to build this SUV. 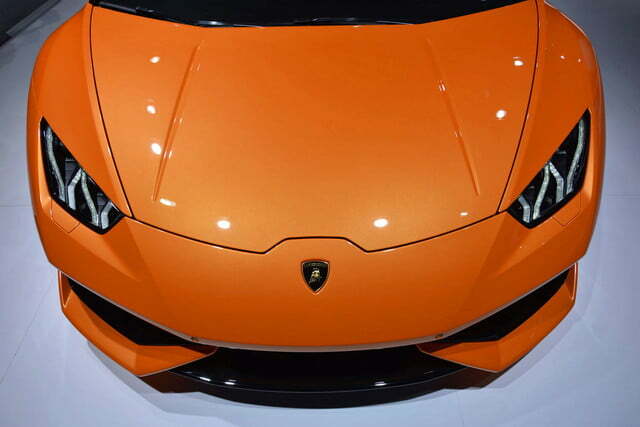 The 750-horsepower Aventador Superveloce sold out pretty quickly. What has the response to the Roadster model been? 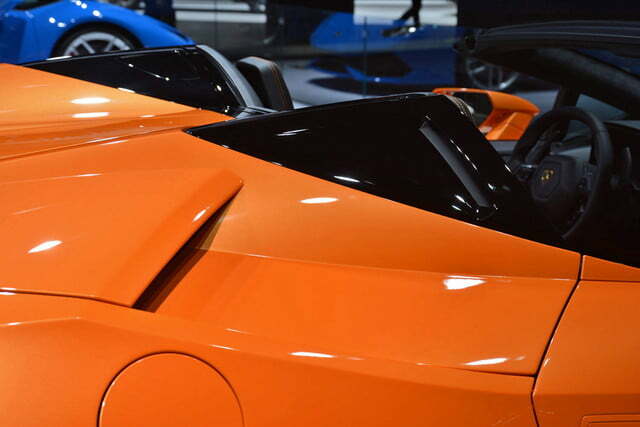 Both versions of the SV are sold out, actually. We first showed the Superveloce Roadster last August at a private event during the Pebble Beach Concours d’Elegance in California. Customers knew it was coming ahead of time and they were already waiting, some of the buyers who put in orders for the coupe changed their minds and asked for a roadster instead. Both models consequently sold out very quickly. 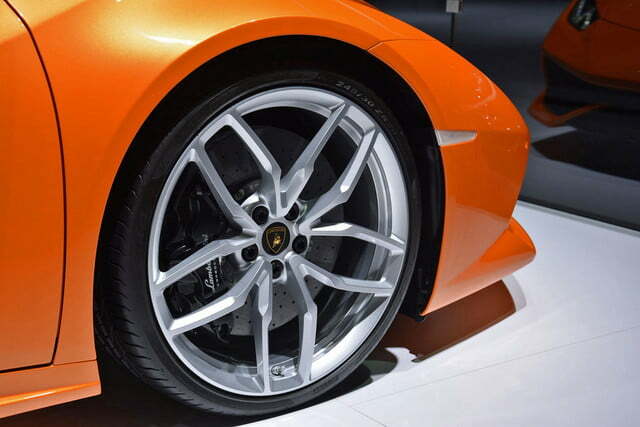 We gave the Huracan Spyder a soft top, not a removable hard top, because we wanted two different cars. We also thought it looked better that way. 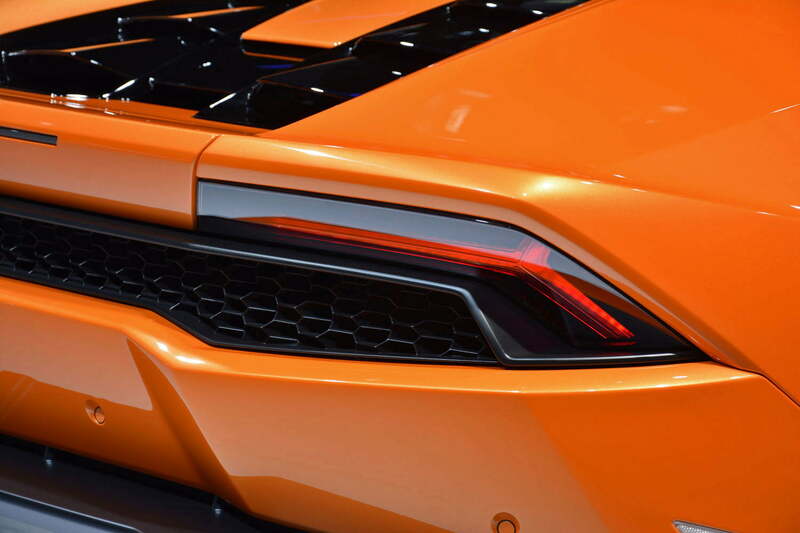 The Superveloce models are designed for the track, and Lamborghini has been more active in motorsports over the past decade than it ever has been. Do you know if customers are taking your cars out on the track? Maybe ten percent of our customers take their car to the track. We basically have three types of customers: we have the collectors, and usually they don’t drive their cars. They buy the top model of every brand out there. Then we have the ones who change their car every six months because they want to drive the newest model available. 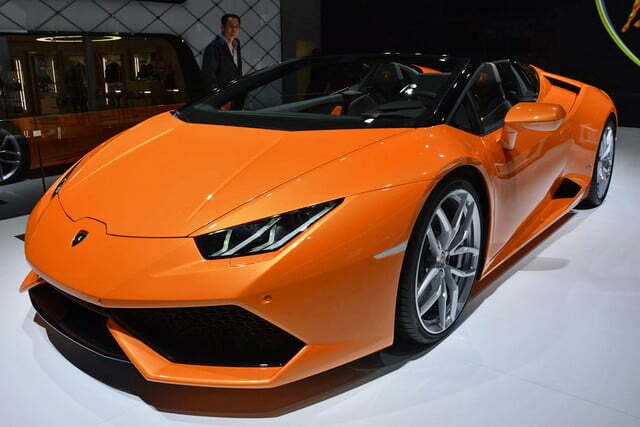 We also have the ones who are buying a car like a normal car buyer, and they get a new car every three to four years. Very few customers drive our cars daily; it’s usually a weekend car or a car for a night out with friends. However, we organize a lot of events on the race track to improve the driving ability of our customers, but also to show them what the car is capable of in terms of safety, and how good it can get. We think that’s very important because the engines are very strong, but our cars are also very easy to drive. 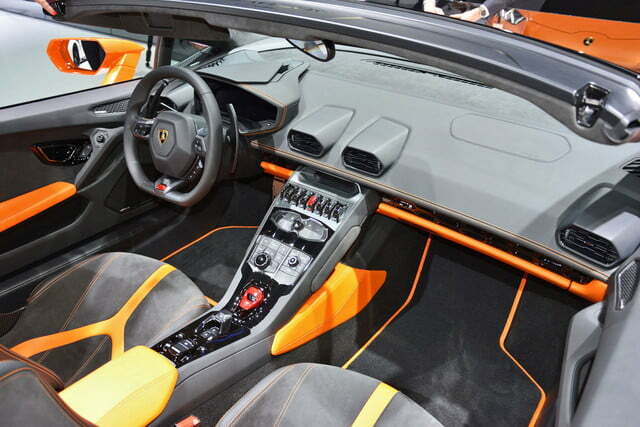 Lamborghini showed an exclusive, limited-edition model in Pebble Beach. When will the general public get to see it? 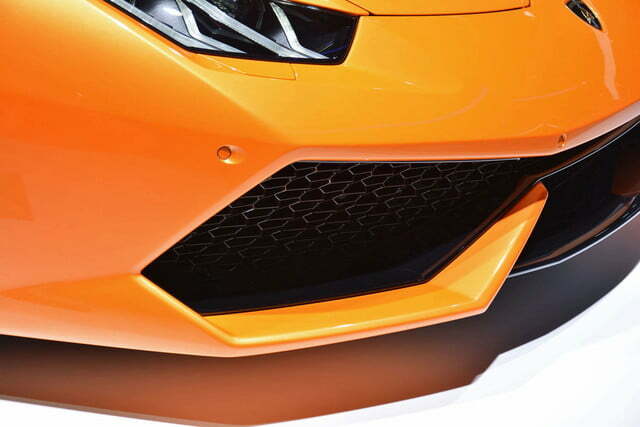 All I can say is that we are going to show something new in Geneva next year. Update: You missed your chance to pre-order a Surface Book - or did you?